4 hours (about 8k) to the Sha Tau pier. 5 hours (about 9.5k) to the bus stop on Pak Tam road. Appreciation: 10/10. The beach views are incredible, you'd think you're in Hawaii. Transportation: Better go on a Sunday as the other days make transportation harder. 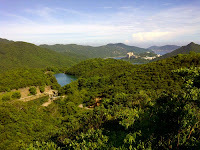 From Diamond Hill MTR station, take KMB 92 to the Sai Kung Bus Terminus (50min). Then, in front of the McDonald's on Chan Man street, take the special 29R mini-bus which will bring you to the Sai Wan Road Pavilion (25min). Get to the Diamond Hill MTR station. 's bus terminus. 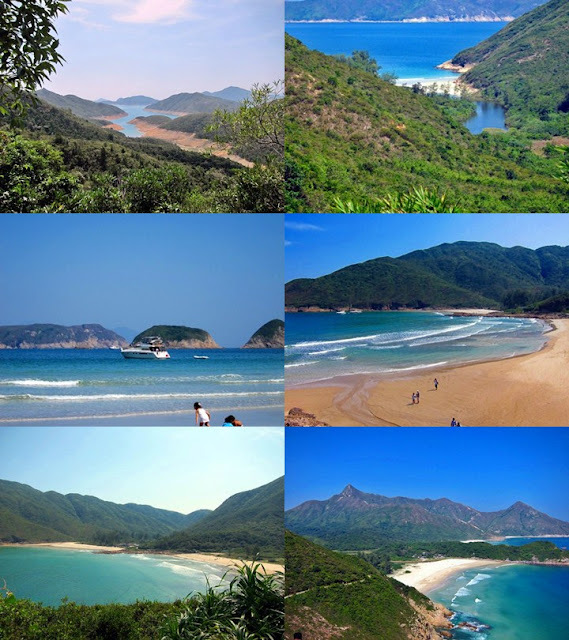 Bus 92 will get you to Sai Kung any day. It is about 1/3 the price of 96R but it is slightly longer (50 minutes instead of 35). On Sundays and holidays, you have the option of taking 96R. Check the PTES schedule for details (http://hketransport.gov.hk). 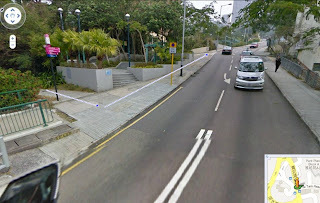 Once in Saikung, you can either wait to get to the bus terminus or get out one stop before, at the Police Station. Might be good if you intend to beat the hikers crowd to the 29R village bus which has limited seating (28) and frequency. You will want to get to Chan Man street. 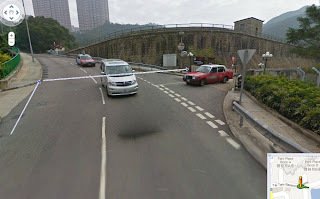 On the left, that's the signpost for the 29R, right by the McDonald's (it looks handmade). The bus itself is a little bit larger than a regular mini-bus (pic on the right). 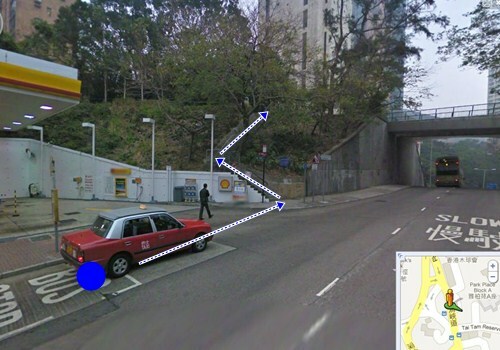 If you miss the bus, take a cab and ask them for the Sai Wan Pavilion. 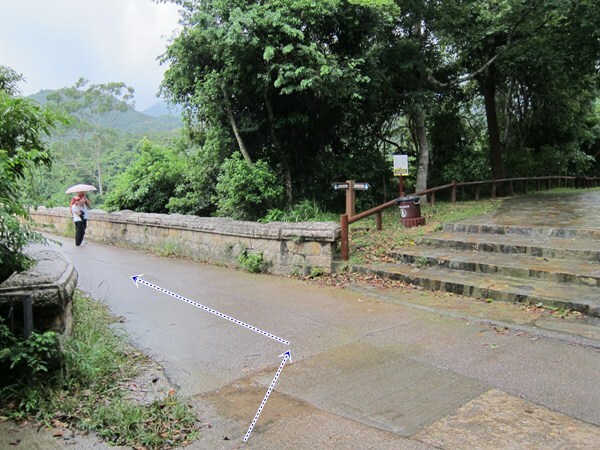 After about a 20-25 minutes ride, the 29R will drop you off at the Sai Wan Pavilion, right by our trail head. Just follow the trail. The full map of the trek. It's clickable (all the images are) to get the full-size version for printing. 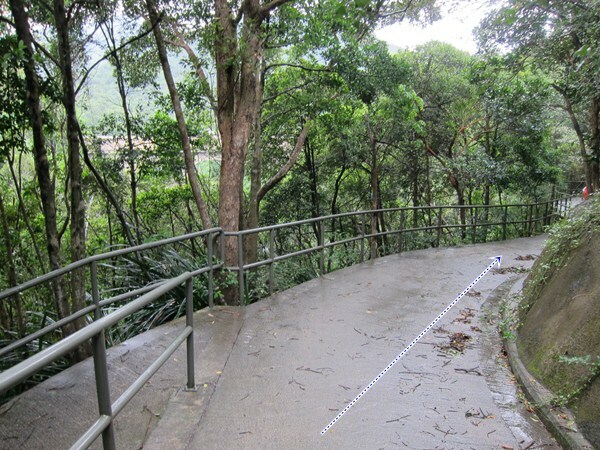 The double-dots route is the optional stream-trek. 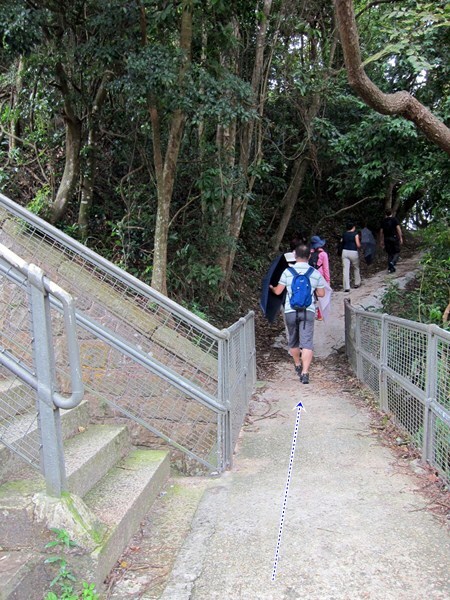 About halfway to Sai Wan, you'll climb a bunch of steps and get to a map point. Go straight. Arriving at the Sai Wan village. Just go straight through. At the crossroad, just before the beach, head left. You'll get over a little hill, to another beach. On the Sai Wan beach, keep left an follow the stream if you want to do the stream-trek portion. Otherwise, keep going straight, cross the small stream and climb up the path towards right. It's about a 40 minutes walk to the next beach, great vistas but no shades along the way (hat and water are "de rigueur"). Ham Tin Wan. Take a break , enjoy some food and refreshments. You can rent all sorts of beach gear at the store. 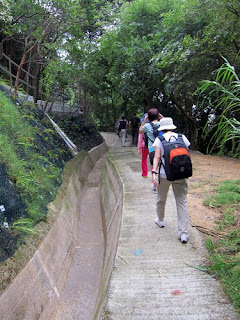 If you are too tired to keep walking, you can talk to the store manager and book a boat back for $110 per person. 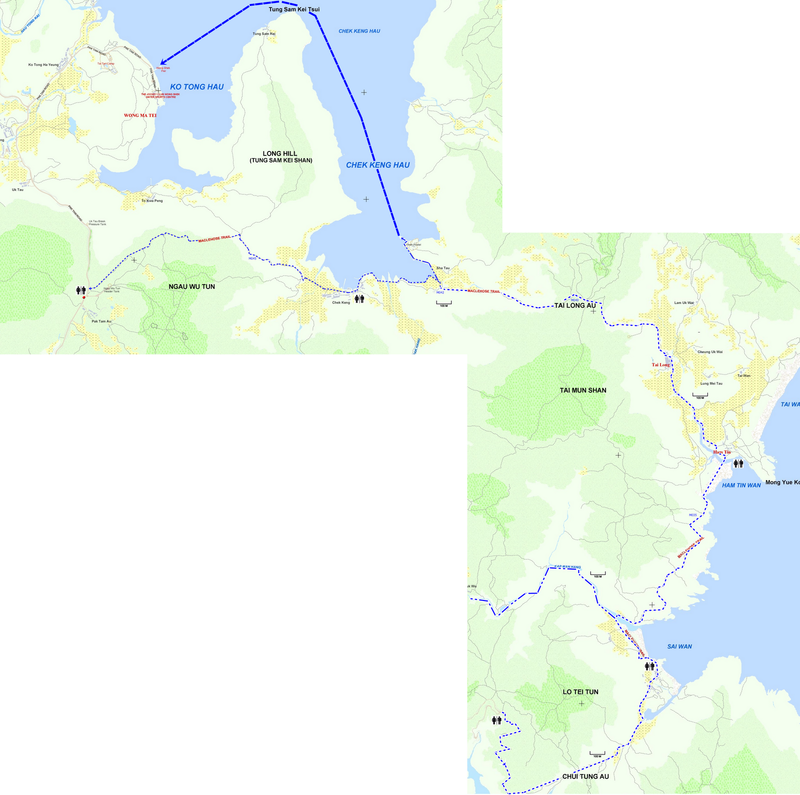 I personally think it's better to keep going and take the boat at the Sha Tau Pier which is cheaper ($20) and will have you go by a fishing village. Once you are done soaking the sun at the beach, just zip through the store to the back and head left at the crossroad, following the path made of pavers. Right you exit the village, there will be a confusing 90 degree turn. Keep on the path and head left. From that point on, it's pretty much just about following the path which climbs for a good extra hour. Nice and shaded though and not too steep. 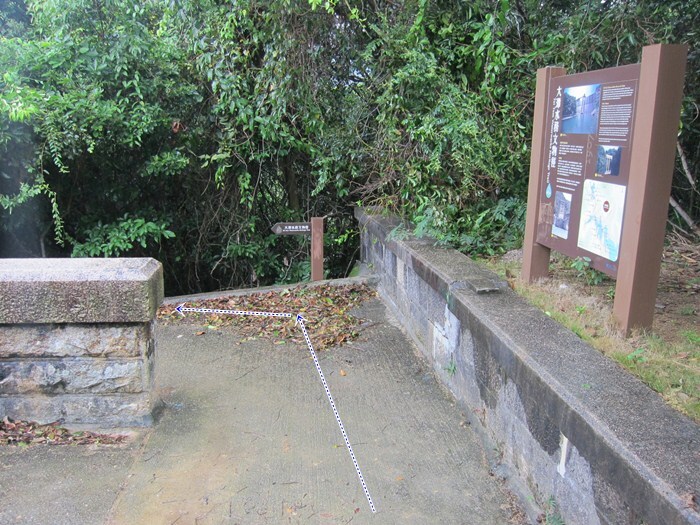 I unfortunately didn't take a picture but at milestone M042, you will see a path going down on your right, towards the bay and the Sha Tau pier at a distance. Take it. Now, at the bottom of the stairs, if you head left, you will have about an hour more of walking to do. 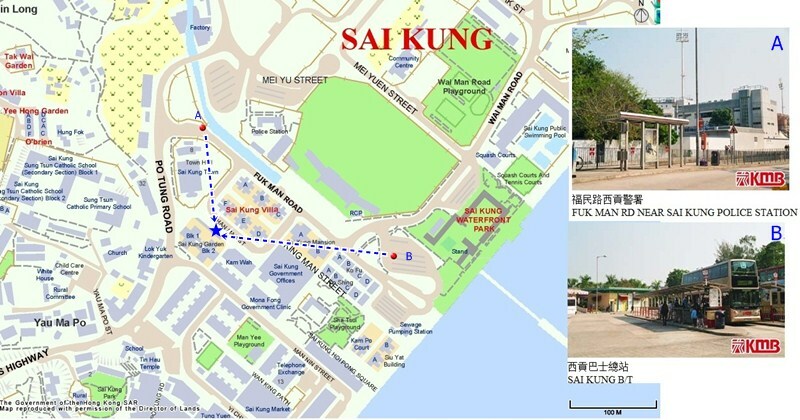 You can also go straight, go to the pier and catch a boat to Wong Shek Pier and the bus terminus. Bus Terminus at Wonh Shek Pier. 96R will get you to the Diamong Hill MTR station. Transportation: Take Bus #6 at Exchange Square (Central). 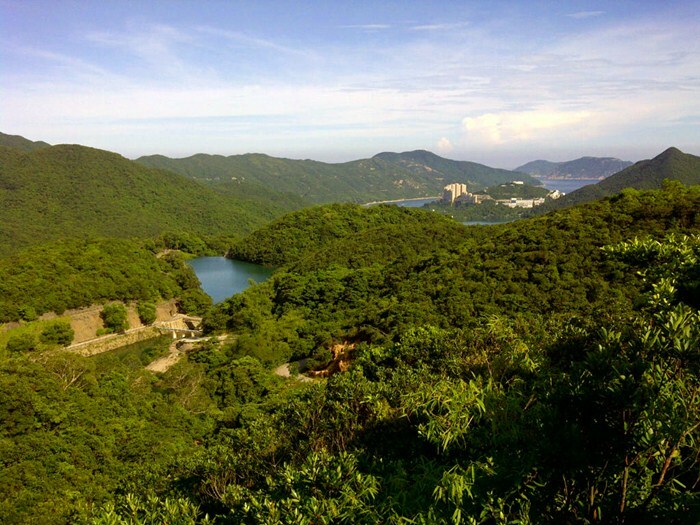 Get down at Wong Nai Chung Reservoir Park (don't forget to swipe you Octopus again to get a discount). Return at via NWFB route 14 on Tai Tam road, to Sai Wan Ho MTR station. This is the Wong Nai Chung Reservoir Park bus #6 stop. The gas station will be on your left. The stop will be indicated in advance on the bus' prompter. From Exchange Square in Central, it's about a 20 minutes bus ride. Once you're out, stock up on water at the gas station's store if you forgot to do so beforehand. Once ready, take the stairs on your left before the overpass. At the top of the stairs, head left. You will see part of the reservoir's structure in the distance. 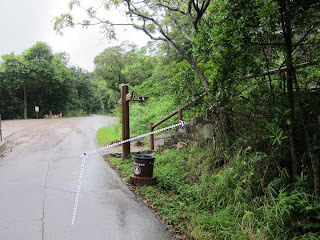 Cross the street and walk behind the sign announcing the entrance to the private estate. 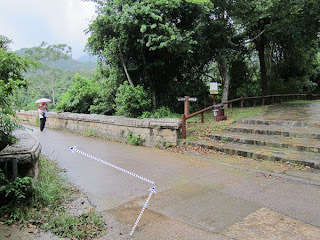 Don't walk on the private road, walk along the path right next to the reservoir. It's not very wide. You can see a set of stairs in the distance. Don't take the stairs, keep going straight. Remember, don't take the stairs, keep going straight. You will follow the rainwater drain for a big portion of the first 1/6 of the way. Some vista but nothing much. 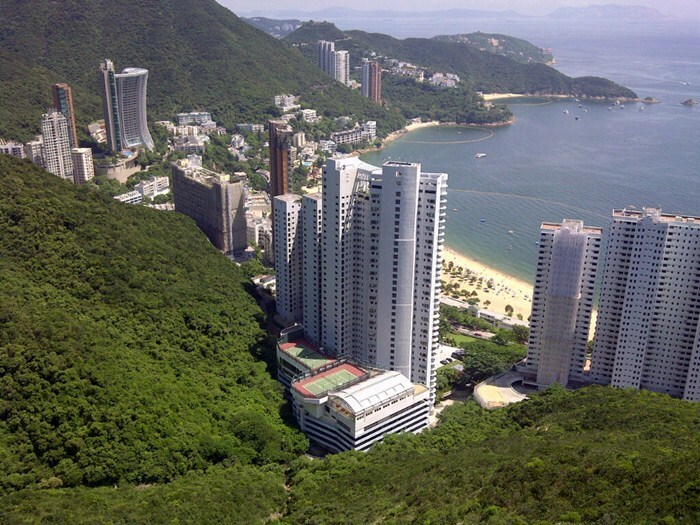 Maybe 45 minutes to an hour in, you'll have a point with a nice view of Repulse Bay with its pristine yellow beach. 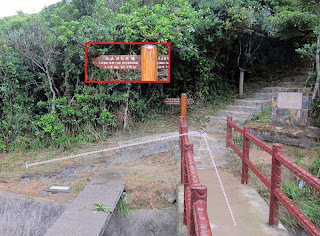 (Follow "Tai Tam Tuk via Tze Kong Bridge"). Keep going on the same path. You'll have some nice vistas and you will reach another intersection. 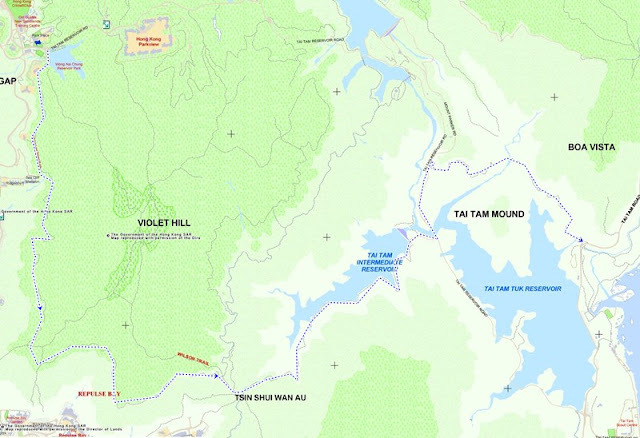 Turn left to follow Tai Tam Tuk Reservoir. 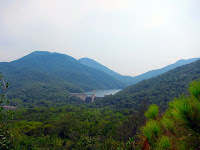 You will follow the Intermediate Tai Tam reservoir for a while until you get to the dam. At the dam, you get take a breather and go snap a few pictures on the dam. But the path itself if past the dam and then to you left. A few minutes later, there's a patch to the left and going down. Don't take it. Just keep going straight. 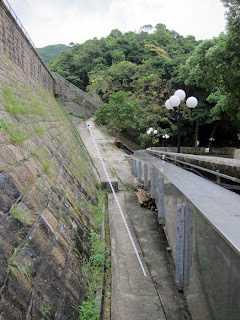 You'll get to the second dam. There are picnic tables and BBQ pit which are nice to stop at and enjoy a short break for lunch. There's a gazebo as well, in case its raining. When you are done, go over the dam's bridge. 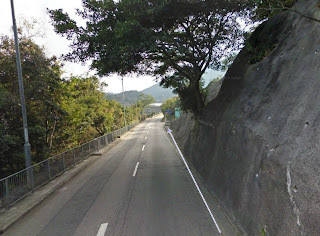 You are now on Tai Tam Reservoir road. Keep going straight up on it. 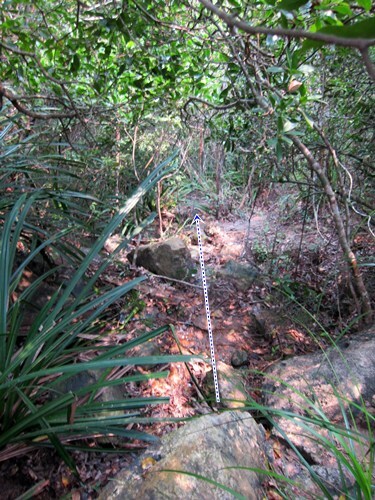 That's about the extent of the uphill terrain you will have to deal with. 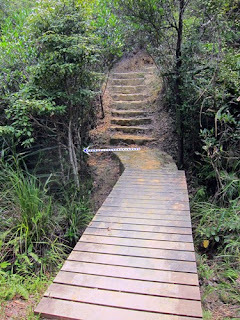 After 5-10 minutes, you'll see a sign on your right as well as a path. 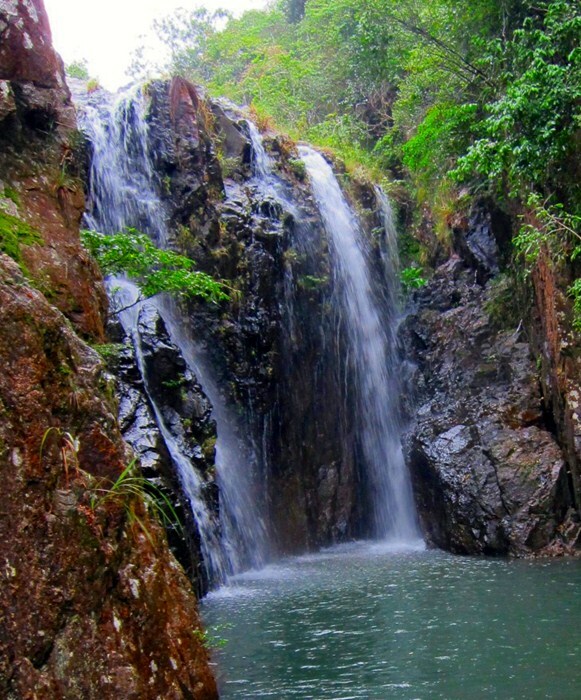 Take it, that's the waterfall trail. At this point, you are probable 2/2.5 hours in depending on your walking speed. 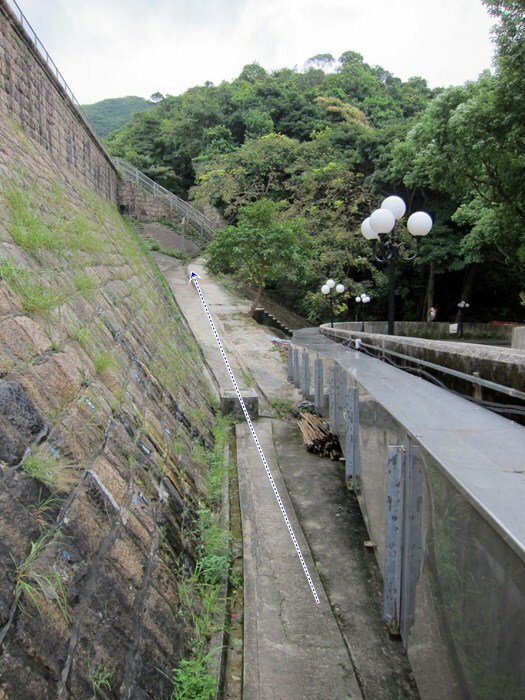 You'll be walking on that trail for about 20 minutes. At one point, you'll start hearing the waterfall and the path will be going down hill. There will be a curve, then a few steps and a bridge. Right before the bridge, on your right, you will notice an opening in the bushes. 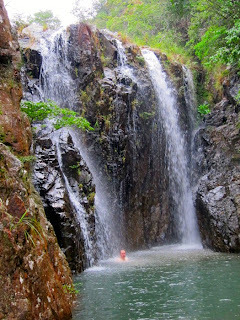 That's the "secret" access to the bottom of the waterfall. 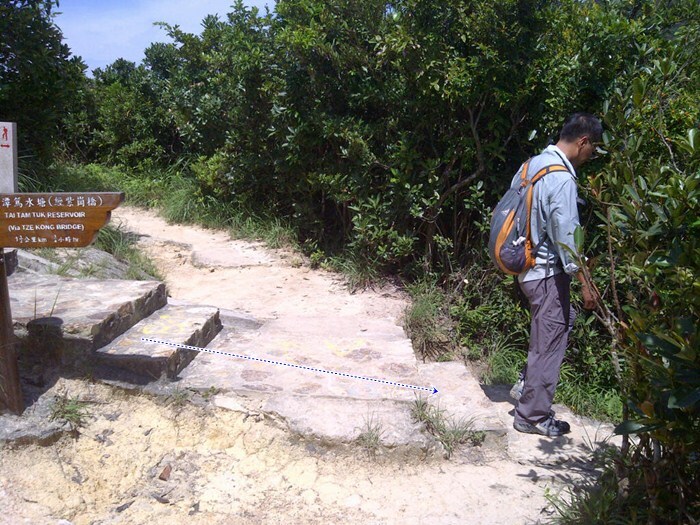 Yep, it's a bit tricky and can be slippery, just be careful and make sure you have good shoes. No flip-flops! That's what's waiting for you at the end. Well worth it. Water is nice and refreshing. When you are done, climb up from you came from and head right on the path. After another 15 or so minutes, you will emerge at the Tai Tam road. The #14 bus stop is on your right, about 100 meters out. Be careful as there's no sidewalk. Now, if you want to go to the Sai Wan Ho MTR, you take the #14 bus on the right. If you cross the street and go 50 meters further down, the #14 there will get you to Stanley where you can do some shopping at the market and grab a nice supper.